Peoria is a city located in the territory of Illinois. This is the largest city of the Illinois River and seat of Peoria County. The city and county are named after the ancient Indian tribe Peoria. 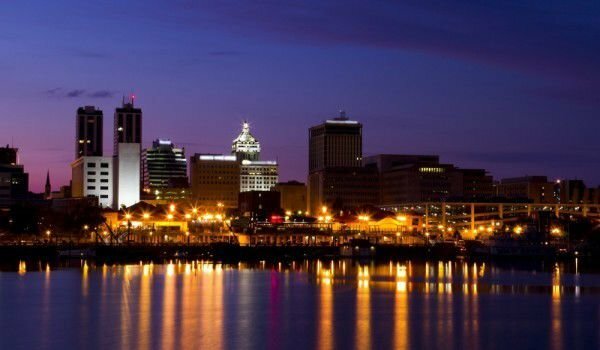 The population of the city of Peoria is 115, 007 people. The city covers a total area of 120.7 square kilometers, of which 5.7 square miles are water. Peoria has a humid continental climate. Winters are cold and snowy, and summers are hot and humid. For many years, it was a known phrase that if something can happen in Peoria, it can happen elsewhere. Peoria is one of the oldest settlements in Illinois. The lands that now constitute the town of Peoria, have been inhabited for the first time in 1680. Then the French explorers René-Robert Cavelier, Sieur de La Salle and Henri de Tonti built fort Crevecoeur. After a while, the fort burned to ground and in its place was built Fort Clark. In 1825 Peoria County is created and then Fort Clark was officially renamed Peoria. Peoria in Arizona was named after Peoria, Illinois. Peoria was incorporated as a village in 1835. The town has no mayor, but it has a village president. The first police chief was appointed in 1837. Peoria was established as a city in 1845. Then the city is headed by a mayor. The first American car - Duryea, was produced in Peoria. Peoria has several museums. Among them are the house Pettengill Morron, house of Peoria Historical Society, Museum of Arts and Sciences Lakeview. The new Museum Square Square will house the planetarium of Peoria. Peoria Symphony Orchestra is one of the ten oldest orchestras in the country. Peoria has an opera and two ballet companies, one of which is the ballet of Illinois. Several professional theater studios are located in Peoria, including Peoria Players, the fourth of the oldest community theaters in the country and the oldest community theater in the territory of Illinois. Corn Stock Theatre is the only outdoor theater in Central Illinois. In the city is traditionally held an annual art fair, which is rated as one of the best professional art fairs in the country. In 2009, in Peoria significant expansion is done in Peoria Zoo and Glen Oak Park. The Zoo has increased its area to more than three times. In Peoria is held each year since 1949 the Heart of Illinois Fair. During the fair are organized events, concerts and other interesting events. Park Renaissance is a research park, created in May 2003. It consists of nine residential areas and represents a sub-area of the city. The Block is a project for over a hundred million dollars, which will include a museum and a visitor center area of twenty-eight thousand square meters in downtown Peoria. Due to shortage of funds, additional tax to finance large projects was enacted.